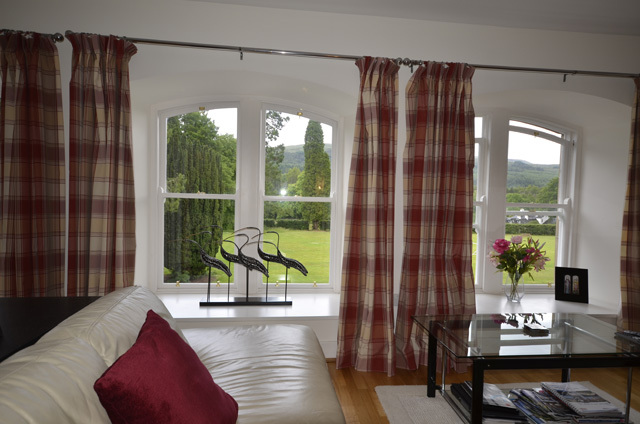 First floor luxury self catering apartment at the historic Fort Augustus Abbey, Highland Club, which stands in 20 acres of beautifully maintained garden grounds at the southern end of Loch Ness and which, until recently, was home to an order of Saint Benedictine monks. 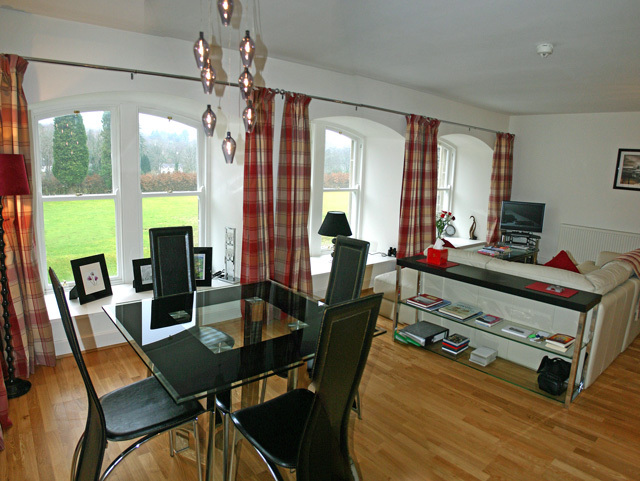 The apartment looks out over the grounds towards the Caledonian Canal. 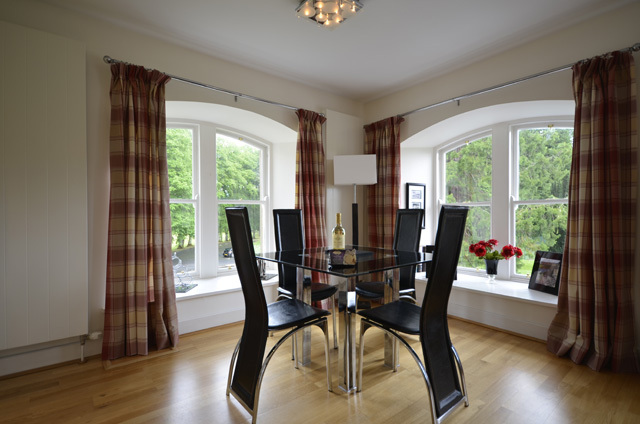 Shops, restaurants and bars of Fort Augustus are just a few hundred yards from the apartment. 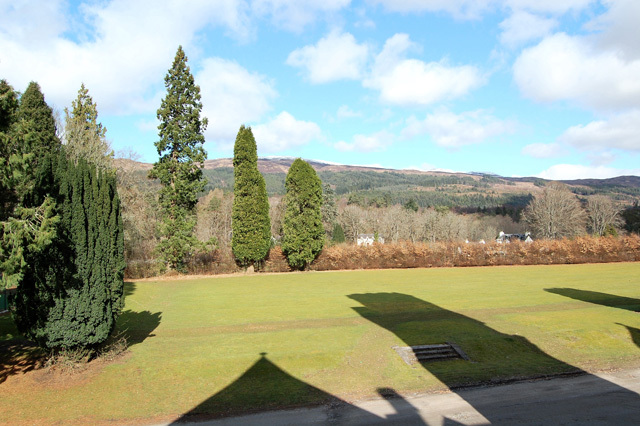 You are, literally yards from Loch Ness as the abbey grounds run right down to the shoreline. 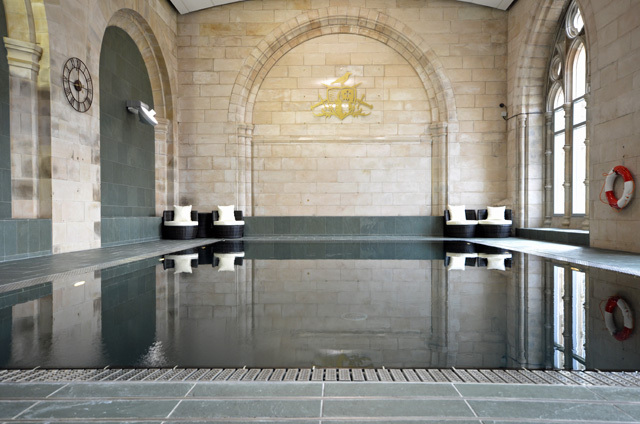 You can relax in the gardens which flow through long terraces and broad flights of Victorian steps right down to the waters edge. 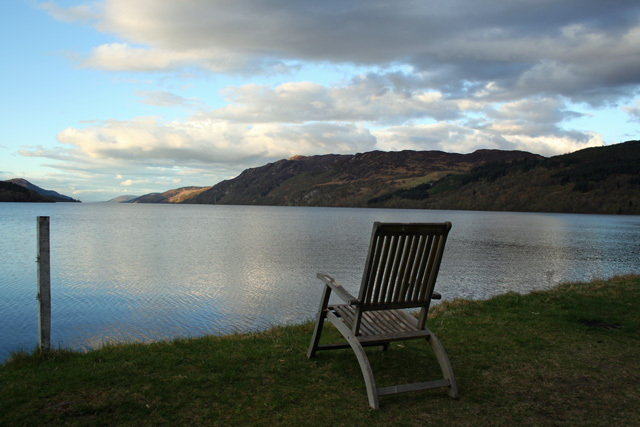 To experience Loch Ness in this tranquil setting, just as the generations of St Benedictine monks before you must have done, will leave you with a holiday experience that you will surely remember and cherish forever. 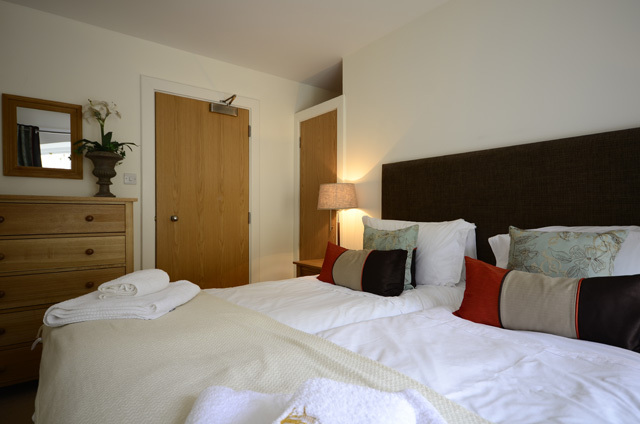 This self catering is special and will exceed your holiday expectations, such is the standard and quality we have set and that we know you appreciate. 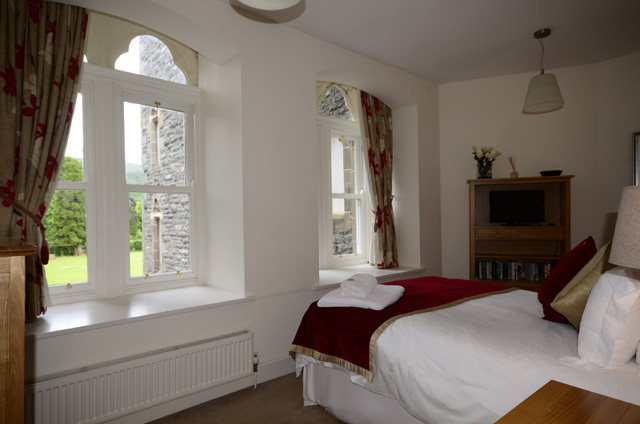 Those of you that have stayed in our holiday cottages in the past will know that our standards are extremely high. 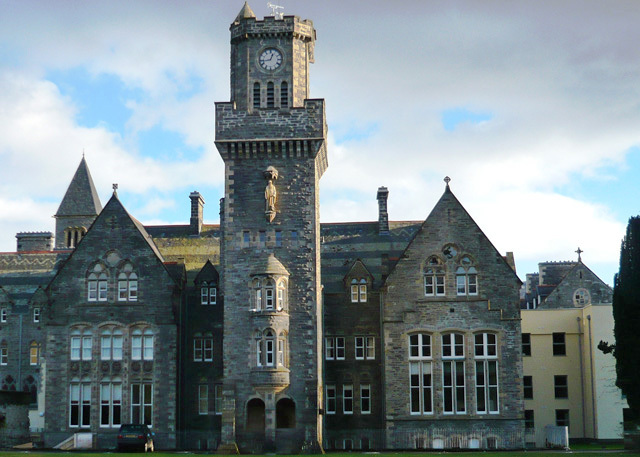 The Abbey, the oldest building in Fort Augustus, is built on the site of an old Hanovarian fort named after William Augustus, Duke of Cumberland, the original foundations still form part of the buildings today. 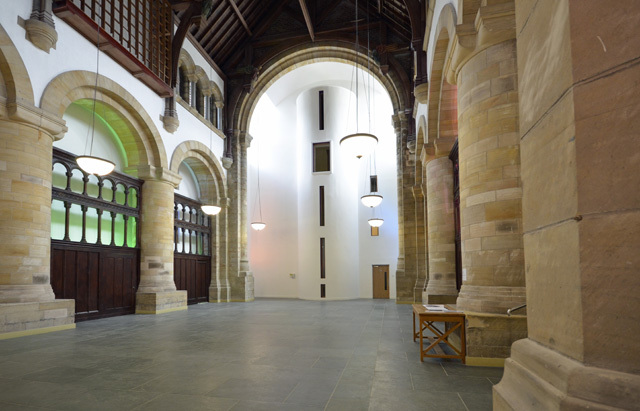 It was more recently a school, run by the monks, but it was closed some years ago due to financial pressures when, finally, the Monks closed the Abbey as a place of worship and the buildings were sold. 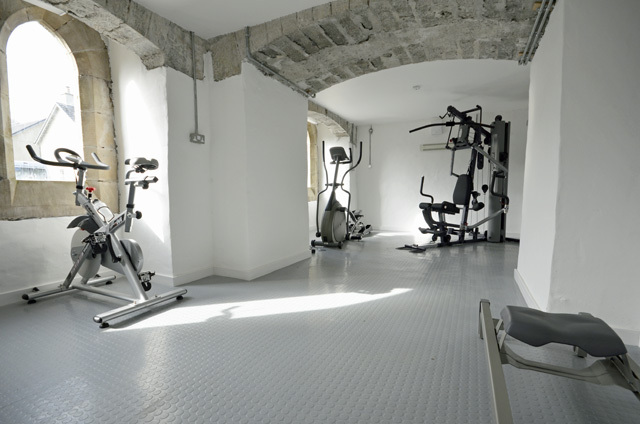 Now, Fort Augustus Abbey, a Grade A listed building, has been painstakingly and tastefully renovated and converted into luxury apartment accommodation. This accommodation is mostly high quality executive class self catering holiday homes while others will be used as second homes. The apartment is furnished to best satisfy and enhance your holiday experience, regardless of external factors like the weather. 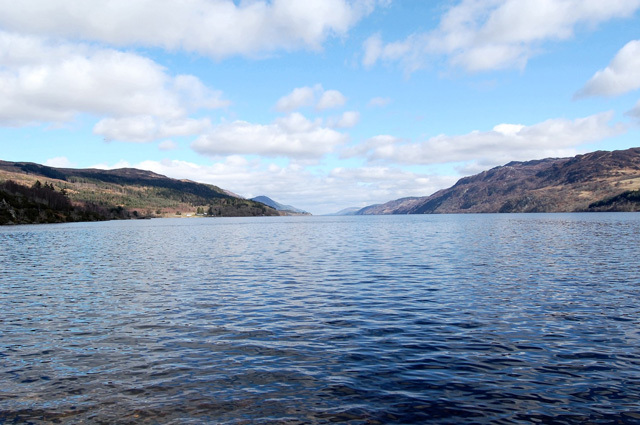 When the weather here is kind, it is simply heaven on earth and when it is not so kind, Loch Ness oozes with atmosphere and mystery that is hard to find anywhere else on earth. 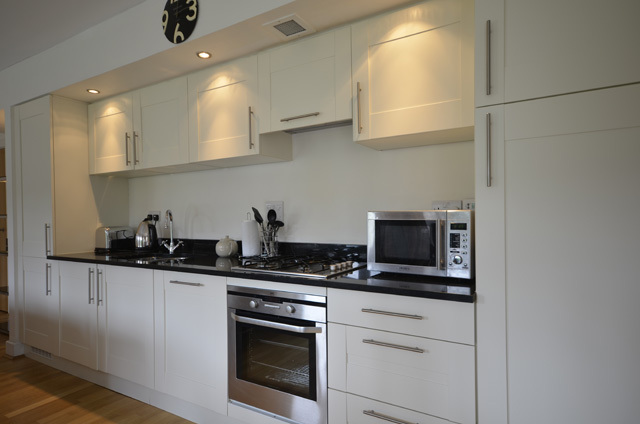 Kitchen equipment includes, Gas hob, electric oven, fridge and freezer, washer dryer, dishwasher,microwave. 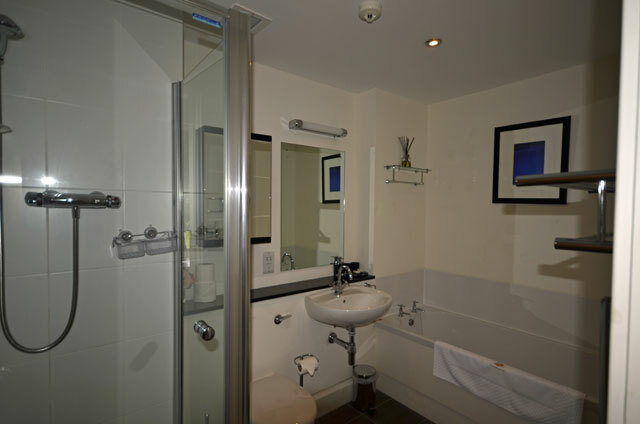 Master bedroom with en-suite shower and bath. TV and DVD player. 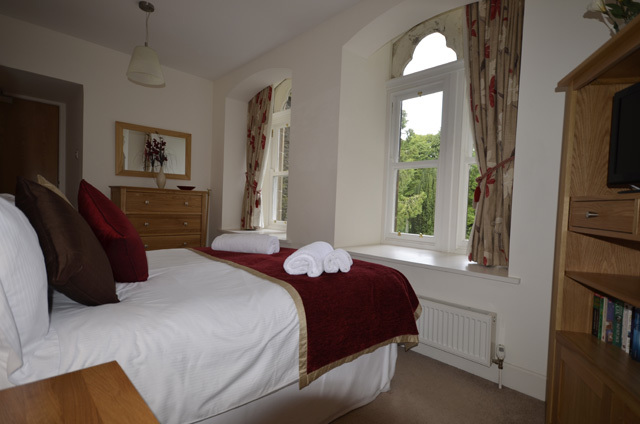 Second bedroom with twin beds/king size bed*, bathroom adjacent. 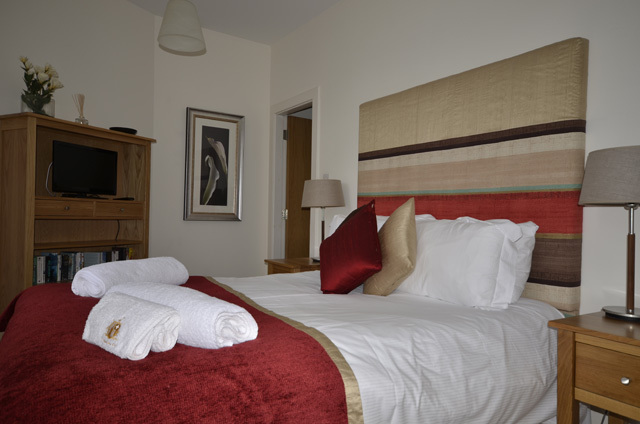 *Note: Please ensure that at the time of completing the booking form that you request the king size bed if required. Electricity and gas central heating. Wifi internet access available in the apartment, bring your own laptop. Cold water sterilizing unit for babies bottles (Please bring your own tablets) and a baby support for the bath. 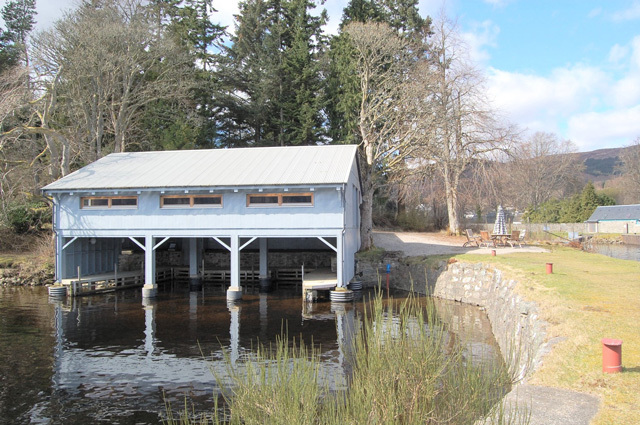 Facilities included are The Boathouse Restaurant (within Highland Club grounds) providing an idyllic setting on the shores of Loch Ness in which you can enjoy delicious, locally sourced food. Please contact the restaurant direct for opening times - 01320 366682. Residents lounge with full size snooker table and table football. Croquet lawn, badminton net on the lawns. The Abbey was a beautiful place to stay. 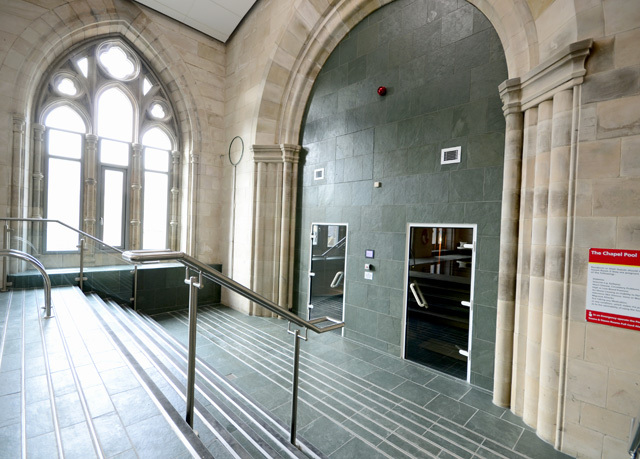 Lots of interesting features, fascinating for people who are interested in old buildings. 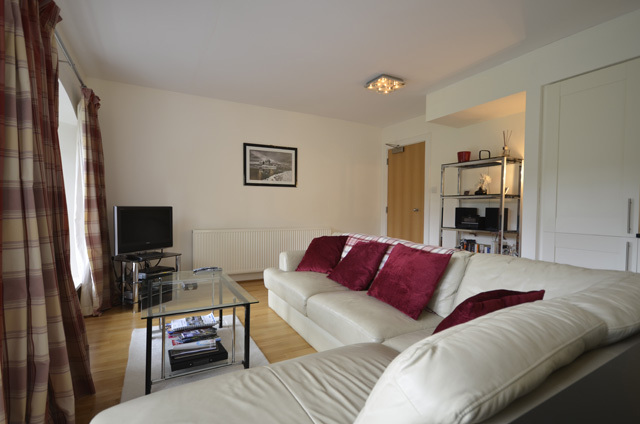 The apartment was excellent - spotless, comfortable, warm. The staff were friendly and accommodating without being in the way at all. We will definitely be going back, and have already recommended it to lots of people. My niece and I flew from Michigan, USA to Aberdeen to meet up with our friend, Lorraine, who gave us an amazing tour around the Highlands of Scotland, during which time our home base was at Fort Augustus and the Abbey. 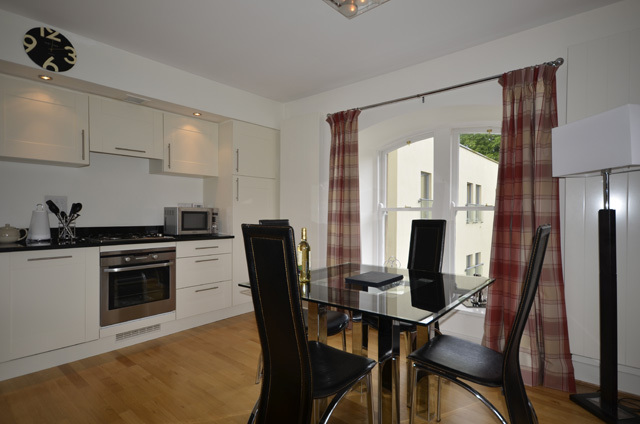 Our two bedroom apartment was spacious, clean, well equipped and perfect for our needs. The staff was friendly and helpful. I'd return to both Scotland and The Abbey in a heartbeat! We never did find Nessie the Loch Ness Monster, but the views were amazing and our time at the Abbey was wonderful. Thank you. Stayed here with our friends for 1 week. 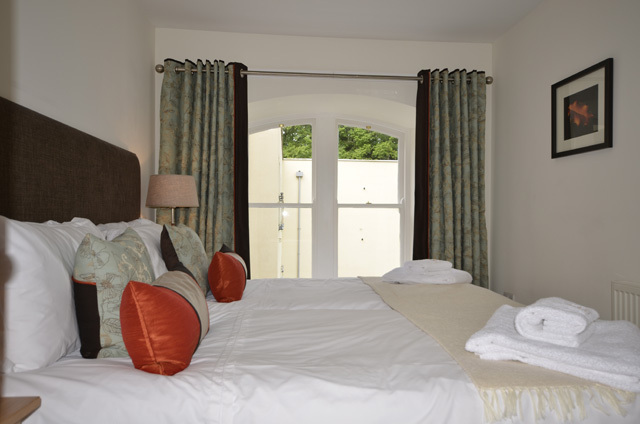 The apartment surpassed our expectations and we had a wonderful, comfortable stay. Everything was so clean & uncluttered. 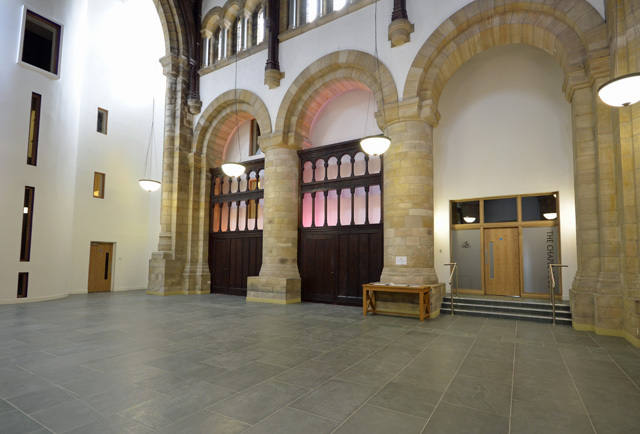 The Abbey is a stunning building & is great to walk around & soak in the atmosphere. The grounds are wonderful to stroll around in. The loch is a beautiful sight in the morning. We have many wonderful photos. Pool is a little small. Asked questions both at booking stage & before arrival. Never did receive a response which was our only disappointment. Will definitely return next year. Dear guest, thank you for your review and feedback. We are sorry if some of your questions were not answered fully, our office is open 7 days a week and our staff are always here to help. 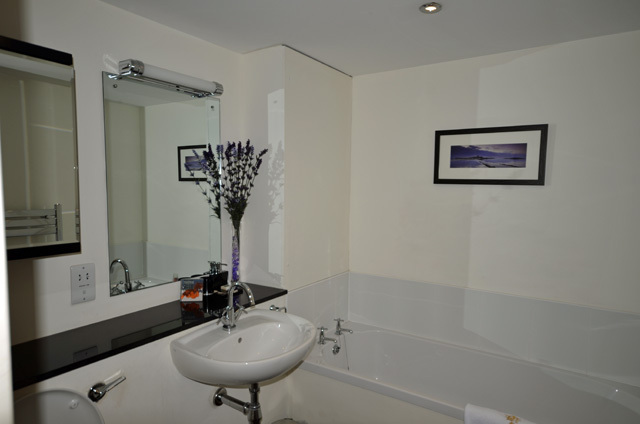 Wow what a place,the apartment was fantastic,from the views to the comfort.The apartment was spotless & very well equipped. The abbey itself is very impressive & the grounds are kept very well. 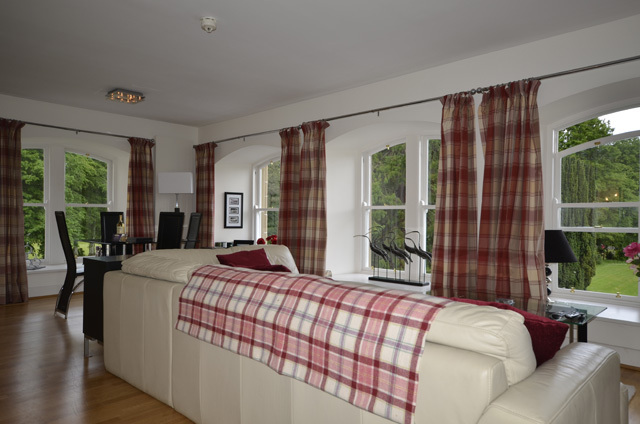 Fantastic apartment equipped and decorated to a high standard with lovely views over the grounds towards the caledonian canal. Very peaceful and quiet. So good i have booked for next April so roll on april.